This one-of-a-kind facility houses printing, manufacturing, distribution and administration, all under one roof in Los Angeles. The 185,000-square-foot Scientology Dissemination and Distribution Center is a one-of-a-kind printing and production facility. It houses manufacturing, distribution and administration all under one roof, and is entirely operated by Church staff. 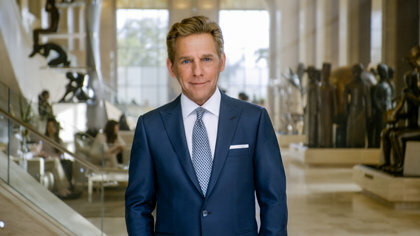 Conceived by David Miscavige, this Center generates materials for the more than 11,000 Scientology Churches, Missions and affiliated groups worldwide, enabling these organizations to meet the growing demand for Scientology services and programs. The anchor of the Scientology Dissemination and Distribution Center printing plant is a custom-built 121-ton web press. Among other materials, it prints Church magazines in 17 languages, with a global circulation of millions. The press accommodates these diverse needs with the capability of automatically switching print jobs from one language to another, without stopping or even slowing down. It prints at a rate of 55,000 pages per hour. 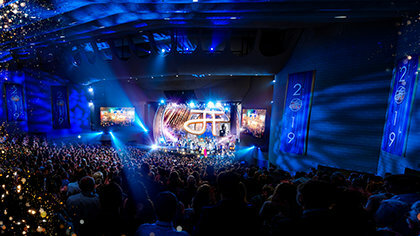 The facility includes both sheet-fed and digital presses to produce the hundreds of thousands of informational pieces that Church organizations use to introduce their communities to the Scientology religion and its services. The Center also produces all educational materials for Church-sponsored humanitarian programs, including the world’s largest non-governmental human rights initiative and the world’s largest non-governmental drug awareness program. The Church provides these educational materials free of charge to schools, civic groups, governments, law enforcement and institutions in the private sector. The in-house cost to produce materials is about 10 percent of what the Church previously paid commercial printers. Located in Commerce, California, the Church of Scientology International Dissemination and Distribution Center is one of the most advanced printing and manufacturing facilities in the world. This 185,000-square-foot custom-designed plant provides more than 30 million materials every year to its parishioners and community partners. The facility includes a warehousing and distribution department. The mailing system, which includes its own US Post Office, is fully automated and able to address 150,000 pieces every eight hours. The shipping line is capable of delivering more than 500,000 boxes and individual items each week. The Center additionally includes facilities to manufacture signature uniforms for the growing number of volunteers within Church-supported programs. This includes shirts, caps, jackets and other insignia for initiatives such as United for Human Rights, Youth for Human Rights, Truth About Drugs as well as Scientology Volunteer Ministers.